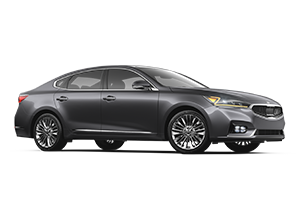 Car shoppers who would like to drive a luxurious new sedan but at a non-luxury price should see the 2017 Kia Cadenza. With its refined, full-size cabin and standard V6 power, the new Cadenza provides discerning drivers with many desirable amenities at a price that is surprisingly affordable. All Star Kia of Baton Rouge invites car buyers near Prairieville and Gonzales, Louisiana to discover our selection of new Kia Cadenza sedans in stock at our Kia dealership in Baton Rouge, LA. As you research, compare and shop our new Kia cars for sale, picture yourself behind the wheel of a sleek new Kia at an affordable price! As you explore the trim levels of the 2017 Kia Cadenza, you will soon discover that unlike many other luxurious sedans, this one comes well-appointed even in its base trim! For instance, every new Cadenza sedan comes outfitted with a 7-inch touchscreen display powered with Kia's UVO infotainment system and a rear camera display. Leather seating surfaces for five passengers, push-button start with a Smart Key system and dual-zone automatic climate control are also standard on every 2017 Cadenza. For an even more exciting drive than the Cadenze Premium base model, see the Cadenza Limited. 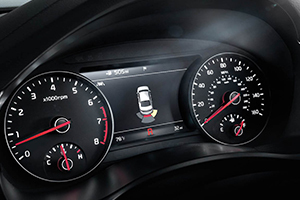 The range-topping Limited model adds high-tech amenities like voice-command navigation, wireless smartphone charging and a Head Up Display (HUD), plus Kia's suite of advanced driver assist technologies. An available Surround View Monitor gives Cadenza drivers a bird's eye view of the car while in reverse gear, while the Autonomous Emergency Braking and Advanced Smart Cruise Control keep your Cadenza at a safe distance behind traffic. Every 2017 Kia Cadenza full-size sedan is powered by Kia's potent 3.3-liter V6 engine that delivers 290 hp and provides exceptional fuel economy for its class. This highly efficient gasoline direct injection (GDI) engine is coupled to an electronically controlled 8-speed automatic transmission, complete with Sportmatic®, plus Smart Shift & Drive, for a tailored driving experience and shifting on-demand. The standard 18-inch alloy wheels cover 4-wheel anti-lock disc brakes, while the higher trim levels of the 2017 Cadenza are fitted with larger, 19-inch alloy wheels. To test drive a luxurious Kia Cadenza full-size sedan near Prairieville, visit All Star Kia of Baton Rouge, in Baton Rouge, LA. 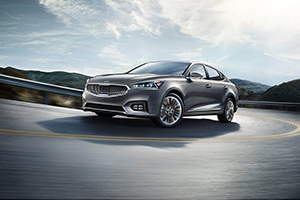 Our Kia dealership is home to a service department that specializes in the routine maintenance of Kia vehicles like the Cadenza, and is here for you long after your new Kia purchase.